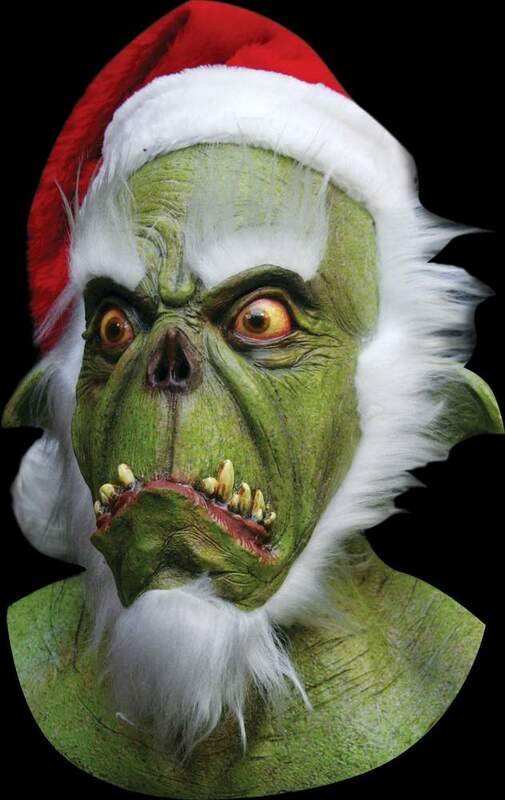 A grinchier version of the Grinch! Definitely much more foul and intimidating. This is a deluxe full over the head latex mask that fully covers the neck. Features white facial hair and cloth Santa hat. Wearer sees out just above mask eyes.